Timely and comprehensive, this book presents recent advances in magnetic nanomaterials research, covering the latest developments, including the design and preparation of magnetic nanoparticles, their physical and chemical properties as well as their applications in different fields, including biomedicine, magnetic energy storage, wave-absorbing and water remediation. 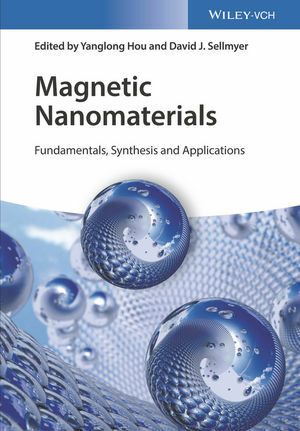 By allowing researchers to get to the forefront developments related to magnetic nanomaterials in various disciplines, this is invaluable reading for the nano, magnetic, energy, medical, and environmental communities. Dr. Yanglong Hou is a Chang Jiang Chair Professor of Materials Science at Peking University (PKU). His research interests include the design and chemical synthesis of magnetic nanoparticles and graphene-based nanocomposites, and their applications in biomedicine and energy. He earned his Ph.D. degree from Harbin Institute of Technology in 2000. After postdoctoral research at Peking University, the University of Tokyo and Brown University, he joined PKU as an associate professor in December 2007, and was promoted to Professor in 2012. He has published over 110 papers in peer-reviewed scientific journals and has received numerous scientific awards, including the CCS-RSC Young Chemist and the JSPS Fellow award. David J. Sellmyer received B.S. and Ph.D. degrees in Physics from the University of Illinois and Michigan State University, respectively. He was an Assistant and Associate Professor of Materials Science and Engineering at MIT before moving to the University of Nebraska where he became Chair of Physics, and presently George Holmes University Distinguished Professor. He is the founding Director of the Nebraska Center for Materials and Nano-science and the Nebraska Nanoscale Facility, a site of the NSF National Nanotechnology Coordinated Infrastructure. He has authored or edited more than 650 publications, and is a Fellow of the American Physical Society and American Association for the Advancement of Science.